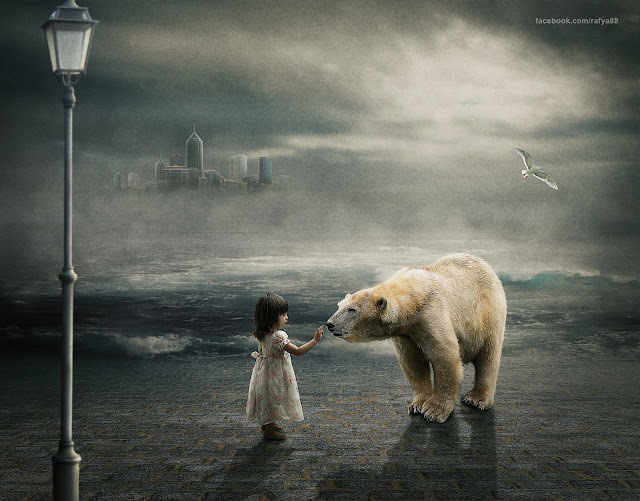 In this photoshop tutorial I will show you how to make child & white Bear photo manipulation compositing. we will create a nice background by combining sea and floor image. adding object with shadows clearly. using gradient map to get dramatic color effect, creating texture and many more. I am just learning. Do you also do a print of each step you take to follow.